In this digital era, it is highly important to manage your emails on a regular basis. But opening your desktop or laptop every time to check your email is tiresome. Well what’s better than that teeny meeny device that fits into your pocket i.e. your smartphone. Big thanks to the countless apps that come handy with Android/iOS phones and these can be used to manage your emails. Today we are jotting down some of our top favorites, so that you don’t have to worry when you are away from your desktop. A modern take on email, made by an email creator — AOL. Alto can be used on both iOS and Android. One of the best part of Alto is that it supports multiple services ranging from Outlook, Gmail, Yahoo, AOL and iCloud. 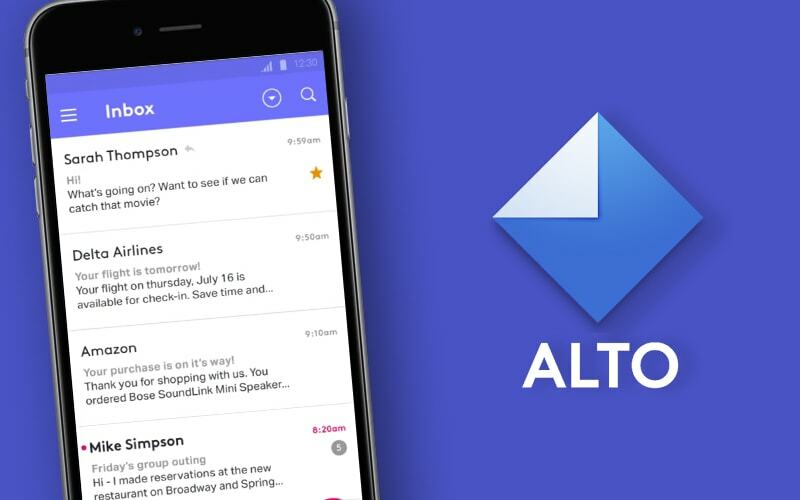 In simple words, Alto can manage all your emails using one single app. A simple email apps for android that makes work easy and may we add it comes with a decent interface. The all-time classic email service Gmail is used across the globe for all the good reasons. Being one of the easiest and simplest android email apps, it gets its real benefit by how it integrates with Android and Google Assistant. Want to view your ticket information from a confirmation email? just swipe over to Google Now! With an easy to use and a simple interface, it has its bag full of interesting features from letting you enable track packages, RSVP for events, and a lot more without opening any email. 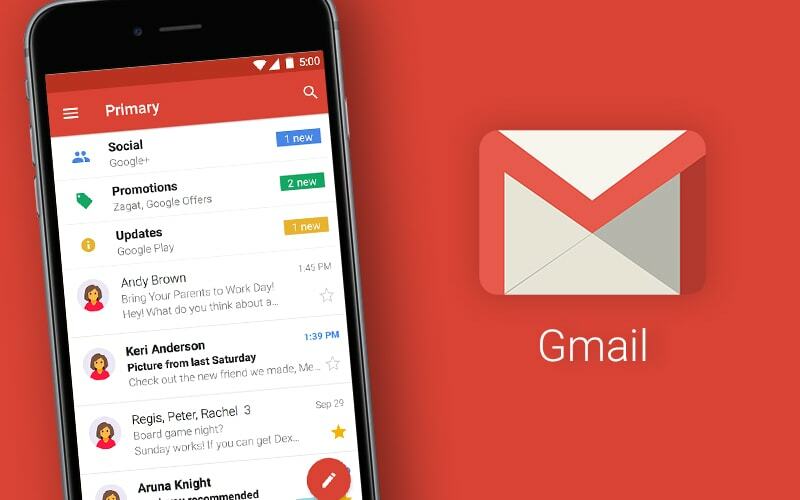 An innovative attempt by Gmail, Inbox by Gmail is one of the email apps compatible for iPhone. 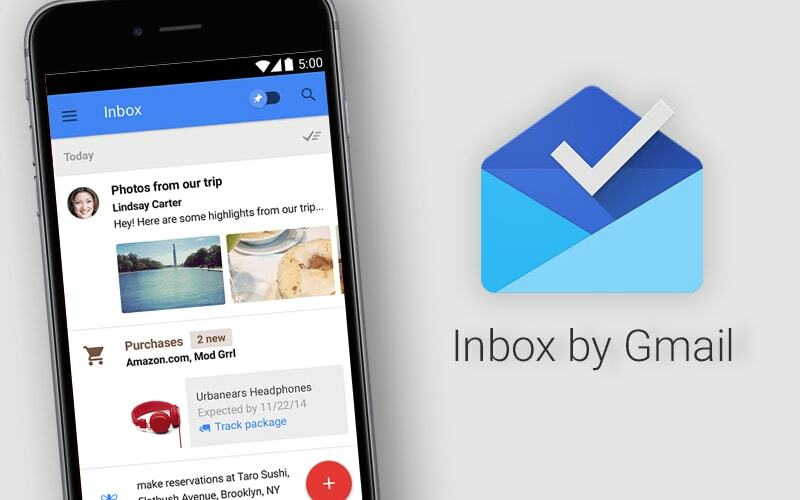 Inbox by Gmail, turns emails into more of a to do list than a big log of emails. It works by grouping emails into bundles. Bundles can be categorized into 7 groups, namely Purchases, Finance, Social, Updates, Forums, Promos, and Low Priority. Inbox tweaks the wheels to allow for a host of diverse actions. Using Inbox by Gmail, one can also pin emails on the top of the inbox, which can be used as a reminder. 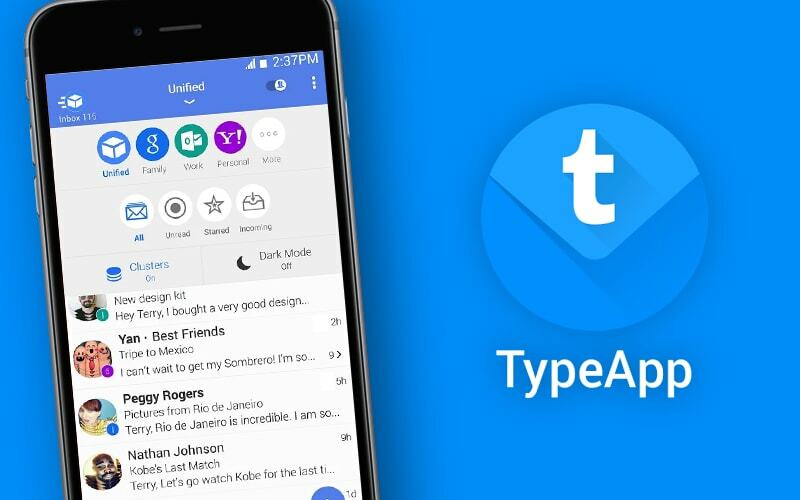 Providing the most features that a user may expect from any email app, TypeApp Mail a.k.a. TypeMail. TypeMail supports almost all the mail types along with push notifications, support for Android wear etc. One of the best parts about the email app is its design which is beautifully made regardless of the ample features that it encompasses. This provides the user with an easy to use interface for quick access to their emails from their mobile phones. An open source email apps for android that is way too primitive than the others discussed here. Still proves to be a great email app for iphone to manage your emails. An easy email app for users with simple to use features unlike other app that are chiseled with the contemporary features. K-9 Mails offer support for multiple accounts, signatures, flagging, syncing between multiple folders etc. 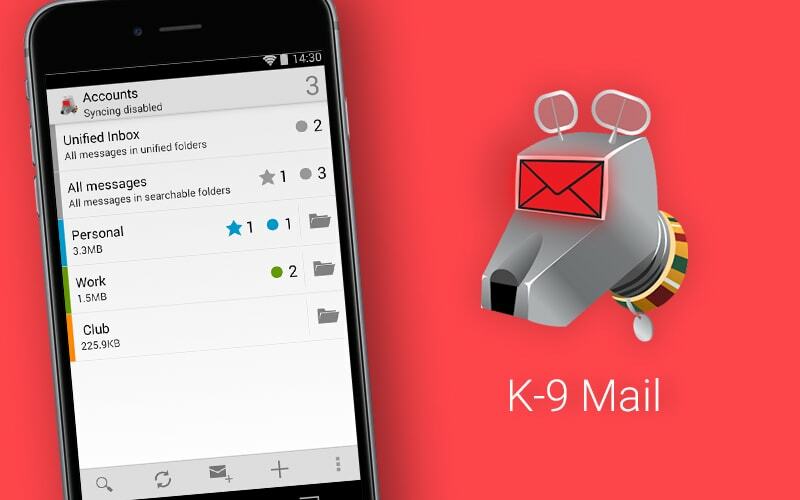 With K-9 you can also control how mails are organized by using the sorting options provided. 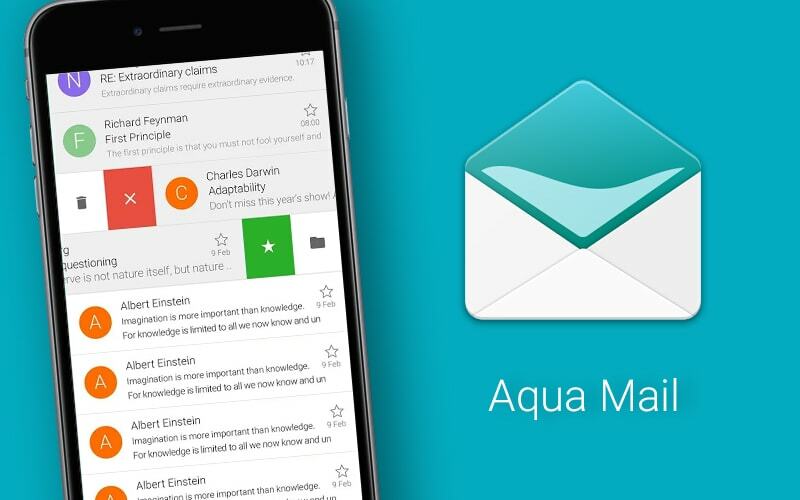 Amongst the best apps for Android, Aqua Mail easily supersedes all the other email clients providing a support for almost every email services via standard protocols, including POP3, IMAP, and SMTP. Aqua Mail has a navigation bar to search, compose, and even delete emails in a fraction of a second. Some other features like night mode and advanced security are other reasons why this app is a force to be reckoned with. A subscription-based email service for iPhone and Android that encompasses power packed features like Sender Profile, Send Later, Read Receipts, Undo Send, and Snooze. 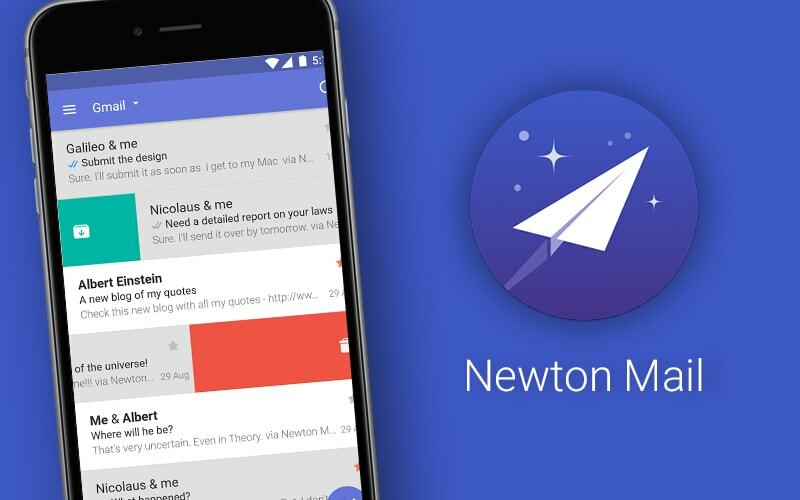 Owing to a long list of super-duper features, Newton Mail is a mail app that supercharges your emails. With Newton Mail you can remove an email from your inbox on a temporary basis and can get it back when required. One more fascinating feature that Newton Mail provides is that it gives you all the information about the sender: like sender’s profile, the sender’s job title, LinkedIn, Facebook & Twitter profiles, organization info, etc. This information can in turn be used in forming your replies more effective and helps add that personal touch. Amongst all the famous email apps we cannot miss Blue Mail. 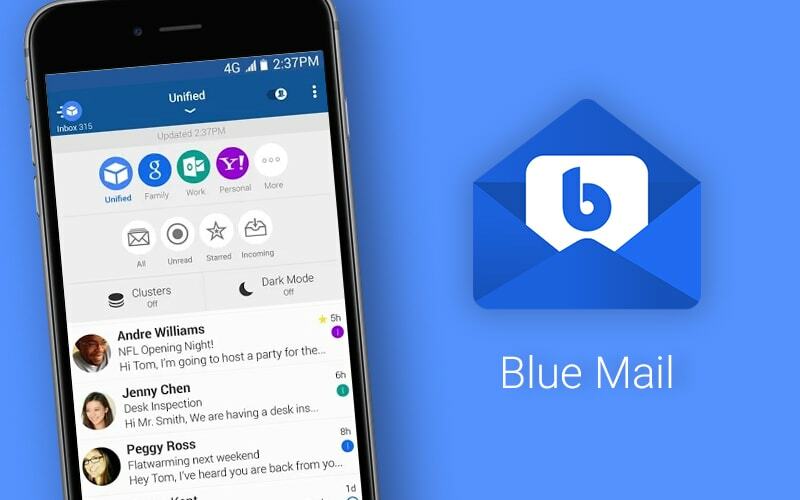 Blue Mail is an email app for Android & iPhone that lets you manage multiple accounts on both Android and iOS. It supports several services such as Rediff, Yahoo, Outlook, and Gmail. Easy customization options are available for customizing the swipe menu and email view as per the user’s requirements. Email communication is protected, since all the data you share is transferred to-and-fro in an encrypted manner. An amazing app if you are looking for one that can be tweaked as per your requirements. 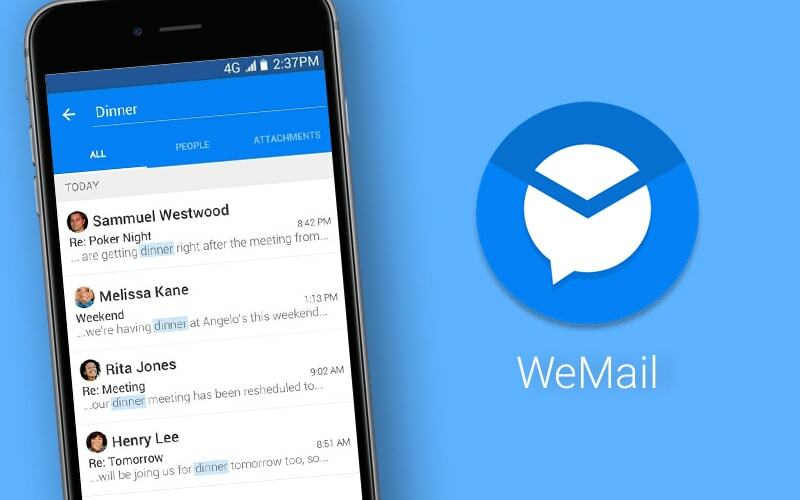 This one is a little different from other email apps since it turns emails into a kind of instant messaging. In WeMail, users have their mails arranged in a thread (something like a chat window) which also has a Quick Reply feature. With the Quick Reply feature, users can easily send short voice messages. The app currently supports Gmail, Yahoo, AOL, Outlook, and several other clients.